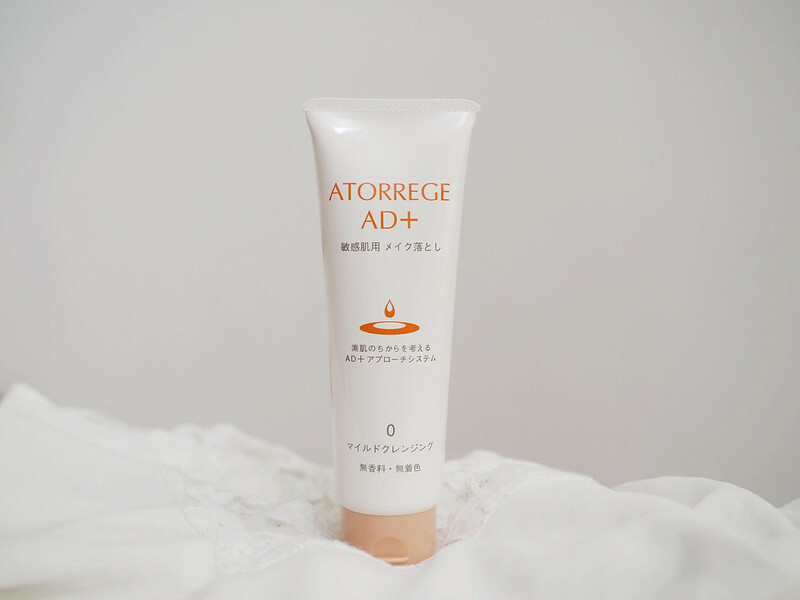 More about Atorrege AD+... 1980s: Many patients in Japan were suffering from dry skin disease and some even developed eczema (Well I have eczema too!). A group of nurses came across "Mugwort" and self-formulated some lotion for the patients to ease their skin disease. The Mugwort lotion soon gained widespread popularity for its efficacy in preventing and relieving itching. Ands Corporation was later appointed as the manufacturer for mass production. 1995: 1st-generation Atorrege was launched. Through continued research, Ands discovered the connection between urban pollution and its effect on "urban skin diseases" such as acne, pigmentation, sensitive skin, eczema and wrinkles. 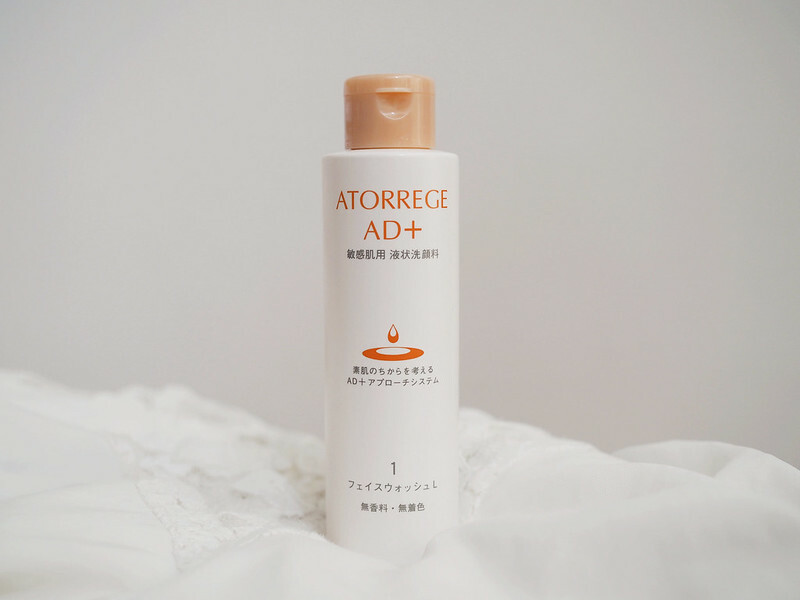 2007: With improved medical technology, 2nd-generation of Atorrege which is also known as Atorrege AD+ was launched to treat urban skin diseases due to changes in environment and unhealthy living habits. 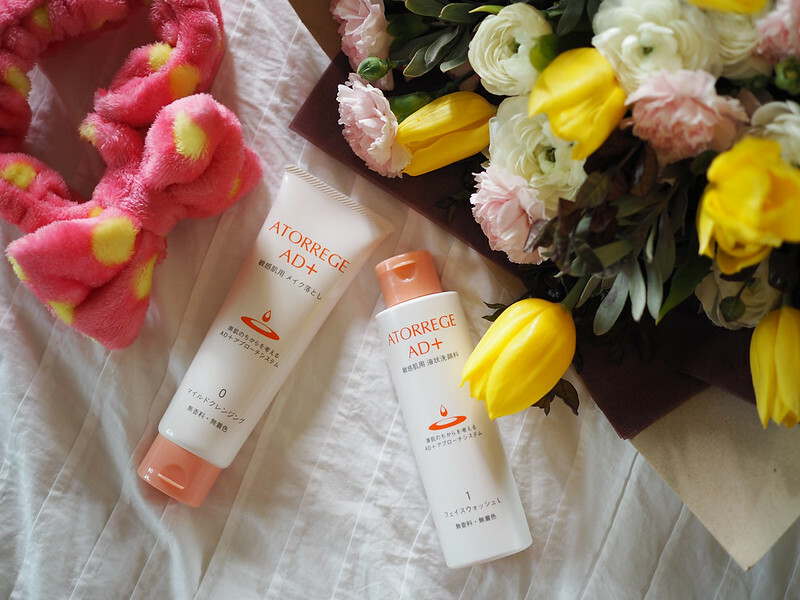 Atorrege AD+ products are made using natural herbal extracts and innovative nanotechnology, for today's sensitive skin. The 2 main active ingredients used in their products for deep penetration are Hamamelis Extract and Soybean Extract. Also, you can be assured that there are: 1. No Fragrance 2. No Colourants 3. No Parabens 4. Allergy tested 5. Internal cellular tested And that's why their products are so suitable for sensitive skin! So what I do usually, is to apply a small amount on my forehead, nose, cheeks & chin. I'll then massage it in circular motions (make sure both your face and hands are dry!). Also, massage the nose area well cuz this is where all the blackheads are, you wanna make sure that it's clean! Look at how foamy it is!! So easy to lather! So the 2nd step involves using a cleanser to further remove any oil, makeup or dirt that were not previously removed. Finally, rinse everything off and VOILA!!!! The result is a squeaky clean and lighter skin! 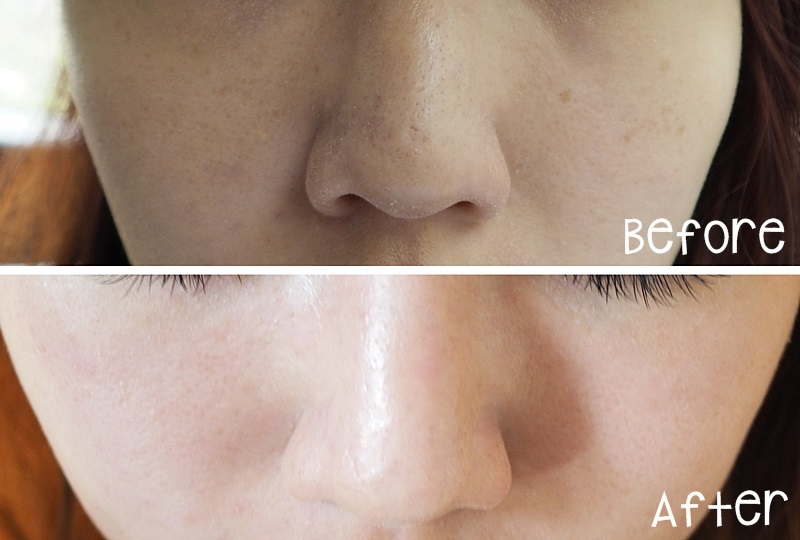 Here's a Before and After picture after using the products for about 2 weeks! Atorrege AD+ products are ranged between $49 - $159. The products I have featured in this post cost $59 each! Atorrege AD+ is currently having a 20% discount off in stores. These stores include Watsons, Guardian, Robinson, John Little, OG &Metro. Plus, Atorrege AD+ is also now available ONLINE!!! Sign up now on http://www.betime.com.sg/ and get 20% discount off your first order! Mild Cleansing and Face Wash Liquid/Foam are an additional $10 off automatically.